Aging often improves the flavor of wine, but sometimes the beverage emerges from storage with an unpleasant smell. 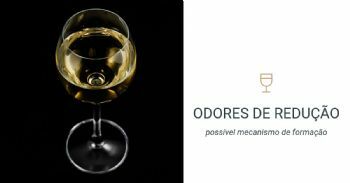 One of the prime culprits is hydrogen sulfide (H2S), which can give the affected wine an aroma of sewage or rotten eggs. In a report in ACS’ Journal of Agricultural and Food Chemistry, researchers have now identified some potential sources of this stinky compound. H2S is a volatile sulfur compound that’s produced naturally during fermentation. Most of it disappears or is removed in subsequent winemaking steps, but it can reemerge after bottling. Ironically, it might derive from polysulfanes and other sulfur byproducts created during H2S removal. Marlize Bekker and colleagues wanted to check if that theory was correct. The researchers created a model wine containing a mixture of polysulfanes and then treated it with antioxidants such as sulfur dioxide and ascorbic acid, which are often added to wine as preservatives during bottling. The scientists then identified and measured the concentration of a variety of sulfur compounds in the wine during six months of storage. They found that polysulfanes containing four or more linked sulfur atoms per molecule tended to decompose during wine storage, correlating with a rise in H2S. In addition, the polysulfane decomposition and H2S release occurred more frequently in the wine treated with sulfur dioxide than in untreated wine or wine treated with ascorbic acid. Confirming such a role for polysulfanes could help identify practical ways to manage the re-emergence of stinky sulfur compounds, one of the major faults in bottled commercial wine.